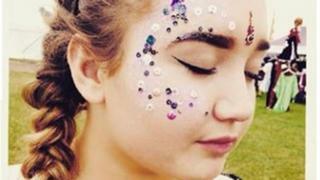 A man has admitted supplying drugs to a 15-year-old girl who died after a party at a park. Jacob Khanlarian, 20, from Newton Abbot, pleaded guilty at Exeter Crown Court to supplying ecstasy to Leah Kerry and two of her friends. Leah, from Salisbury, was found unconscious at Bakers Park in Newton Abbot, in the early hours of 15 July. The case was adjourned for toxicology reports to establish whether the drugs he supplied caused Leah's death. Police initially believed Leah may have died from an adverse reaction to a "legal high". Khanlarian, of Elm Road, admitted four counts of supplying the class A drug MDMA, also known as ecstasy, and one of possessing cannabis with intent to supply. Three of the counts related to the supply of ecstasy to Leah and two other teenage girls at Bakers Park on the night she died. He also admitted supplying ecstasy to others between 1 January, 2015 and 15 July, 2017 and cannabis between 1 January, 2013 and 15 July, 2017. Leah and her family had moved from Torquay in Devon to Salisbury, in early 2015. She died in Torbay Hospital on 16 July. Khanlarian handed himself into police after the teenager's death and told them he had supplied a substance he believed to be MDMA, to a group of girls in the park. Following Leah's death her family described her as "a courageous and confident young woman" who knew the dangers of drugs, but "thought she was invincible". The case was adjourned until 21 September.